You can really tell the next four years are going to be fever dream insane. #GoldenShowerGate is trending on Twitter after users on 4Chan trolled the CIA with fake intel that ended up in our fake mainstream media. 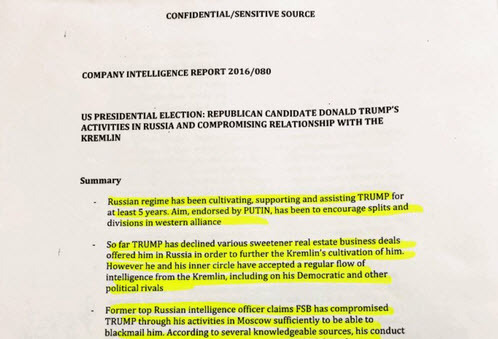 It’s being reported all over the place that a 35-page dossier of “intel” from an unnamed supposedly British intelligence source came out discussing Trump in compromising sexual situations involving prostitutes and pee and that Russia knew about it and didn’t release the info. This has been publicized to the point that both Trump and Moscow have officially responded. But while CNN and other outlets did not publish specific details from the memos because they could not be independently verified, BuzzFeed published the memos in full. So #GoldenShowerGate was a 4chan prank. “Readers of this newspaper know well not to include me among Trump’s supporters. But the scurrilousness of what BuzzFeed has done here is so beyond the bounds of what is even remotely acceptable it should compel even those most outraged by Trump’s political excesses to come to his defense and to the defense of a few other people mentioned in these papers whose names are also dragged through the mud. I’ve been a newspaper and magazine editor for 31 years, and like many in my profession, have had occasion over the course of four decades to work with people linked to intelligence agencies both domestic and foreign when they are retailing stories injurious to one or another politician or cause. 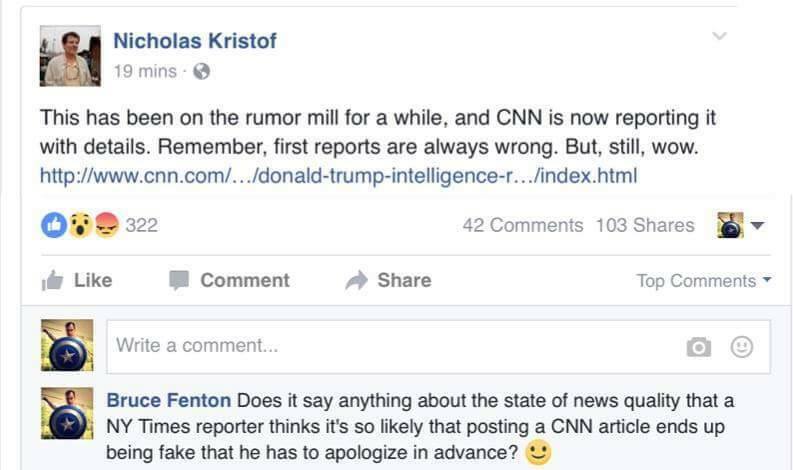 In my experience, there is no source of whom you need to be more skeptical, and whose information you need to verify to the letter before you can even begin to think of publishing it, than an “intelligence” source. Just… how sad is this? Regardless, the hashtags #GoldenShowerGate and #PEEOTUS are trending on Twitter, and even celebs are Tweeting about it. Still. Isn’t this reminiscent of the FBI’s plot to smear Martin Luther King Jr. with salacious sexual scandals that were completely made up? Kind of creepy considering this other fake news recently reported about Trump.